© Roberta Cucchiaro. Used with permission. At the turn of the millennium, many proclaimed that this would be the Chinese Century. Do current world events support that prediction? It’s a question that defies an easy answer. Nineteen eighty-nine was, in Western eyes, a year of great hope. The Berlin Wall fell, the power of the Soviet Union was rapidly disintegrating, and free democratic elections were held in Brazil and Chile for the first time in years. Amidst all this, the Tiananmen Square protest in Beijing—where thousands of young Chinese demonstrated against their communist government under the inanimate gaze of a hastily sculpted “Goddess of Democracy”—seemed to be part of the same movement. The protest was forcibly and brutally suppressed; but to many it seemed clear that this was the beginning of the spread of Western democratic values to China too. Fukuyama envisioned that China (along with the rest of the world) would progressively follow in the West’s democratic shadow. China had other ideas, though. As the editors of Mao’s Invisible Hand state, “China has not taken the road anticipated by Western social scientists and desired by Western publics.” Graduate student Liu Yang explains that the local view is rather different. “Without democracy,” he says, “if we can still have the good life, why should we choose democracy?” (quoted in Age of Ambition: Chasing Fortune, Truth, and Faith in the New China). His nation is taking a different route and is thriving on it. China’s economy is the world’s second-largest and is currently growing more than twice as quickly as those of the United States, Germany and Japan. And it is doing so without democracy. Explaining this requires something other than Fukuyama’s model, one that is much more complex and unsettling for Western observers. “China is, quite literally, changing the world before our very eyes, taking it into completely uncharted territory,” academic Martin Jacques observes in When China Rules the World. “The West has thought itself to be universal, the unquestioned model and example for all to follow; in the future it will be only one of several, even many, possibilities.” It’s a bold prediction; but as disconcerting as Jacques’s words sound to Western ears, it is not at all unfathomable. “Understanding China will be one of the great challenges of the twenty-first century,” he writes. Reaching that understanding requires examining the country on its own terms. China is not, to the surprise of Fukuyama and others, interested in merely mimicking Western models. Pulitzer Prize–winning journalist Evan Osnos notes that in recent years “China’s young elite [have] risen again, not in pursuit of liberal democracy but in defense of China’s name.” In other words, China’s resurgence is not driven by a desire to copy the West. Its people are instead defending and promoting their own cultural identity, one that few in the West understand. 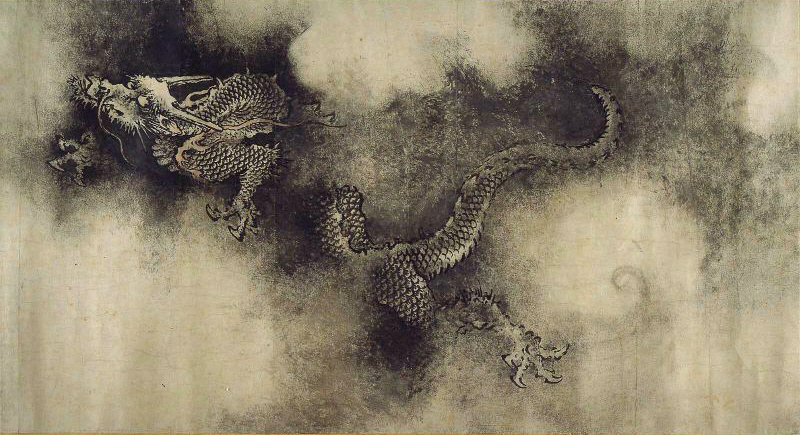 China’s identity is steeped in history. Jacques records the words of Chinese scholar Jin Guantao, who “argues that ‘[China’s] only mode of existence is to relive the past. There is no accepted mechanism within the culture for the Chinese to confront the present without falling back on the inspiration and strength of tradition.” To the West, which is more inclined to emphasize innovation, youth and the “new,” this is a foreign way of thinking. The West is also, on another front, largely unfamiliar with the deep-seated historical personality that underpins China. When the Chinese speak of defending their country’s name, however, they are most often referring to a more modern historical moment. As recently as the 18th century, though it did not have the same imperial reach as its European counterparts, China was the world’s largest economy and Beijing was the world’s largest city. Some estimate that at the time the nation accounted for one third of global wealth. The years that followed, however, shook China at its foundations and have since become known as the bainian guochi or “Century of Humiliation.” First they were defeated by Britain in the First Opium War (1839–42), then rocked by four lengthy localized revolts: two Muslim rebellions in Yunnan (1855–73) and in the northwest (1862–73), as well as the Taiping Uprising (1850–64) and the Nian Rebellion (1853–68). There were also military losses to the British and French in the Second Opium War (1856–60), to the French in Indochina (1884–85), and most humiliatingly to their neighbors in two Sino-Japanese Wars (1894–95 and 1937–45). By these—and a series of crippling agreements that became known as the Unequal Treaties—China lost control of Hong Kong, Korea, Indochina and Taiwan, as well as the sovereignty of many of their seaports. The 1900 Boxer Rebellion brought foreign military occupation to Beijing, and in 1931 Japan invaded and occupied large parts of Manchuria. It was a string of setbacks that heralded the end of China’s imperial dynasties, eroded their independence and, most crucially, damaged their pride. The Century of Humiliation is as critical to Chinese identity as the French or American Revolutions or the British Empire are to their respective national identities. For China, the humiliation it suffered is a core impetus, a perceived imbalance, a wrong to be set right. From this perspective, the nation’s desire to return to global prominence is not so surprising. In the eyes of many Chinese it signifies a return to their natural place. How China recovered so impressively has astounded economists and social scientists the world over. At the time of Mao’s death in 1976, the country had been torn apart by his ideological purges, personality cult and failed economic policies. It was a crumbling and backward nation; but what followed catapulted it out of its poverty. Mao’s successors, including new leader Deng Xiaoping, surprised the world by building the thing that seemed most antithetical to communist principles: a free-market economy. 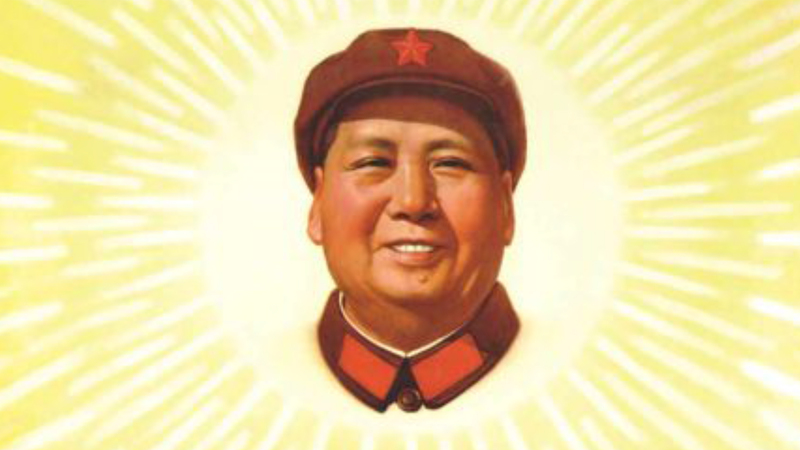 In contrast to Mao’s grand flourishes and broad revolutionary plans, Deng’s approach was pragmatic, inclusive and step-by-step. “Cross the river by feeling the stones,” he said. Reform brought immediate results. In the 1980s the country’s economic growth doubled and has maintained dizzyingly high levels ever since. The World Bank calls it “the fastest sustained expansion by a major economy in history.” Diverging from their more insular past, the Chinese government moved to build careful ties with the international world, notably the United States. They reduced trade tariffs; they welcomed international investment and focused on manufacturing and exporting goods. The ubiquitous “Made in China” clothing tag is an internationally recognized signifier of this. Their habitual caution remains in situ, however; for instance, they have resisted calls to float their currency, the renminbi (or yuan), on the international exchange. 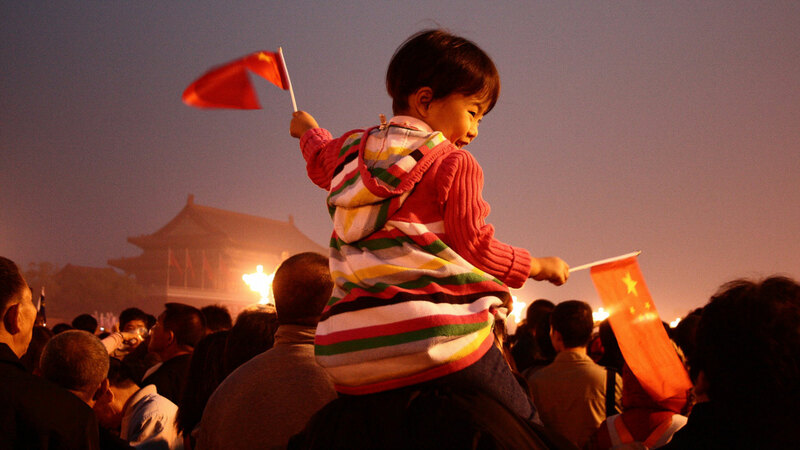 China’s transformation is a singular one, “the most extraordinary . . . in human history” according to Jacques. Its population has moved increasingly from predominantly agrarian to urban. The impact of this on its people is staggering: according to an analysis cited by Jacques, the number of Chinese living in poverty fell from 250 million in 1978 to 80 million in 1993 to 29 million in 2001, “thereby accounting for three-quarters of global poverty reduction during this period.” But this new society is also an unequal one. Free-market capitalism tends to exacerbate the gap between rich and poor, and China has been one of the most striking examples of this. Corruption levels in this nascent marketplace are among the world’s highest too. China is communist but has embraced free-market capitalism; it is the world’s second-biggest economy but is still a developing nation; it has almost no natural resources but produces more than any other nation; its presence on the world stage feels new, but it is steeped in centuries of tradition. China seems self-contradictory, and yet it is clearly growing into one of the world’s most dominant powers. It is tempting to view China’s staggering upsurge in apocalyptic terms. As Jacques writes, “we are so used to the world being Western, even American, that we have little idea what it would be like if it was not.” The rise of a rival power is a natural cause of discomfort for the incumbent, of course, and many Westerners speak of China’s resurgence with anxiety. Observers of this ilk often search for faults that might eventually destabilize its success. They place hope in local revolts against the CCP’s draconian Internet controls as well as in vocal dissidents such as the artist Ai Weiwei. In doing so they sometimes lose sight of the fact that democratic actions in nondemocratic countries do not work in the same way. Predicting the future has always been a fool’s errand for humanity. One need only think of the countless failed predictions of the end of the world, as well as, of course, Francis Fukuyama’s secular prophecy of the “end of history.” The Bible—a fact that might seem surprising—warns of the futility of making such predictions (see Matthew 24:36, 42; Acts 1:7); it’s a point rendered absurdly ironic by the countless Christian leaders who have flouted and continue to flout it. It is also worth remembering that nations do rise and fall. From ancient Egypt to Babylon to Rome to the Aztecs to the British Empire: human power is never permanent. History teaches us that in time the West will falter, that American hegemony will not last, and that another—perhaps the Chinese?—will take its place. The Bible supports this historical pattern. Its histories recount the repeated transfer of power across the land we now know as the Middle East; its pages also prophesy future shifts. Here we see the difference in accuracy between the predictions of limited humanity and the unlimited God. One of the latter’s prophecies, a vision given to Daniel, foretold—centuries in advance—the rise and fall of Babylon, Persia, Greece and Rome, as well as of a future as-yet-unidentified power (see Daniel 2). Change and turmoil are hallmarks of human civilization. In this light China’s rapid rise is not so surprising, though it remains unclear what it will mean for the world. Fukuyama’s 1989 proclamation that humanity had “exhausted” all alternatives to Western liberalism has proved ill-founded, but it’s worth noting how curiously biblical Fukuyama’s words are in tone. Indeed, the Bible makes a similar statement that this world of recurring disruption will come to an end at a moment when all alternatives to God’s rule (not Western liberalism) have been exhausted. The end of the prophecy given to Daniel says that following the end of human kingdoms, “the God of heaven [shall] set up a kingdom, which shall never be destroyed: and the kingdom shall not be left to other people, but it shall break in pieces and consume all these kingdoms, and it shall stand for ever” (Daniel 2:44, King James Version). Only when that prophecy comes to fulfillment will we know for sure whether the 21st was the Chinese Century. Goldman Sachs Investment Strategy Group, “Walled In: China’s Great Dilemma” (January 2016). Sebastian Heilmann and Elizabeth J. Perry, Mao’s Invisible Hand: The Political Foundations of Adaptive Governance in China (2011). Martin Jacques, When China Rules the World: The End of the Western World and the Birth of a New Global Order, Second Edition (2009, 2012).